The Peak District Mountain Rescue Organisation is the umbrella body for Mountain Rescue in the Peak District. 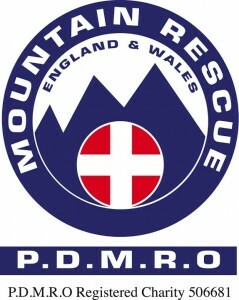 The Peak District Mountain Rescue Organisation (P.D.M.R.O.) was formed in 1964 following the death during the bad winter of 1963 of two climbers in an avalanche in Wilderness Gully, Chew Valley, and a multiple fatal accident during the 1964 Four Inns Walk. Prior to then there were few mountain rescue teams in the Peak District. These were uncoordinated and inadequately equipped. Supports member teams in their mountain rescue activities. Encourages & develops good practice in Mountain Rescue. Assists in the recovery of animals from locations where mountain rescue skills are needed. Represents the member teams’ interests to other bodies. Encourages the transfer of skills and knowledge to young people and other community groups.